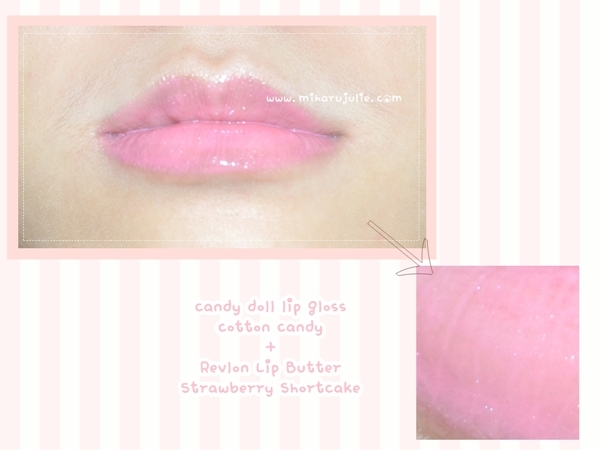 Candy Doll Lip Gloss allows you to create at your own will shiny lips full of your personal charisma. It gives doll-like plump lips that are glittering and lustrous. The highly visible color is saturated and is not easy to fade. With hyaluronic acid, it hydrates while brightening lips. Take a proper amount with the stick and apply the lips. Hello ! I'm back with a new review. Finally my exams is finish and i'll stop procrastinating done this review, which should have been done 2 weeks ago. This is the new color from Candy Doll Lip Gloss. 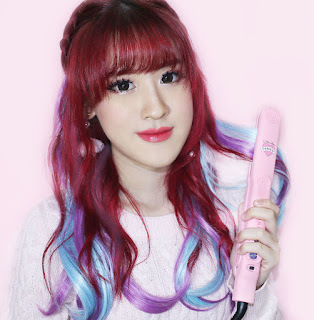 There are 2 new colors: Juicy Cherry and Cotton Candy. The bottle size is quite big. The packaging so cute and catchy. There isn't a strong scent. It can last fairly long.